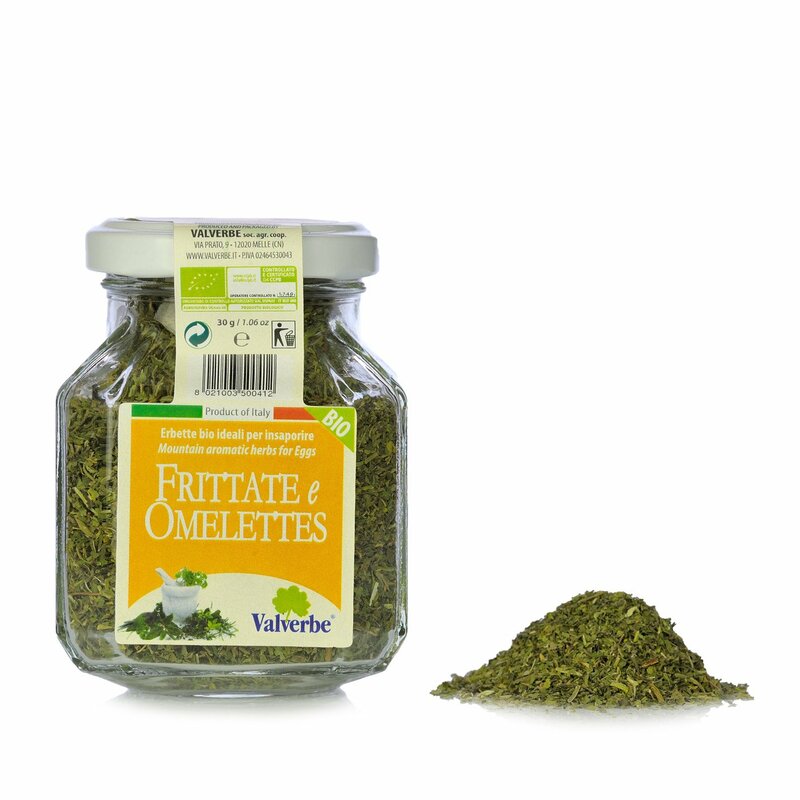 The Fritters and Omelettes kitchen flavouring from Valverbe is a tasty base condiment. Ingredients Mallow*, nettle*, St. Peter's herb*, chives*, parsley*, thyme*. *ingredients from organic farming. For more information on product labels, please contact our Customer Service department. The information on the labels of the products may vary for reasons beyond our control, therefore, there may be discrepancies between the information on the site and that on the products delivered. Please always check the information on the product before consumption or use. In Melle, in the Alpine valleys near Monviso at an altitude of between 500 and 1500 metres, Valverbe grows, dries and directly packages its own herbs and herbal teas. 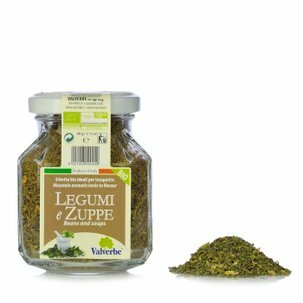 The freshly picked organic herbs are dried with a special system that captures and holds in all their perfume and aroma. Once rehydrated, they can release all their goodness and vitality into the herbal teas.